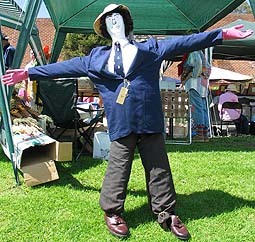 Here is a delightful traditional scarecrow which is also achieving its traditional purpose. This photo was contributed to our gallery by Mary Knox of Ireland. 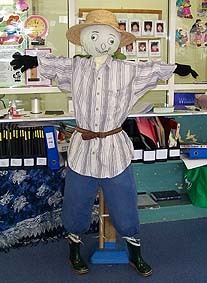 This happy and creative traditional scarecrow was made by Kim Ng and the children of Christ Church St Ives Preschool. They named him 'MR. 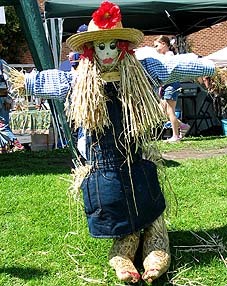 Scarecrow'. Great job, kids! 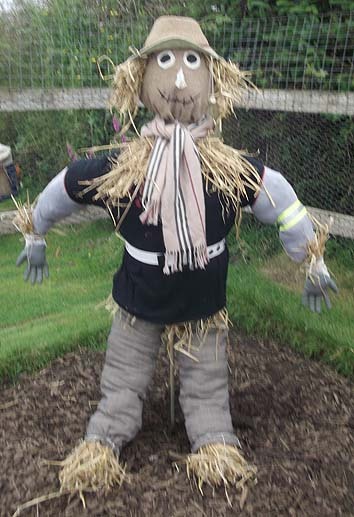 Whilst these scarecrows all have a fairly traditional form, the scarecrow makers have given their scarecrows a wide range of interesting personalities through the clothing, hair, hats and faces. 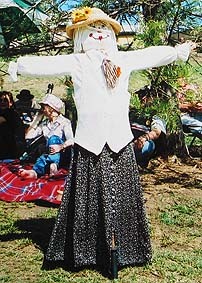 The traditional scarecrow ideas, pictured here, include relaxed farmers, a business man and three quaintly dressed lively ladies. 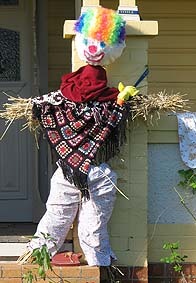 Note: This page includes a variety of scarecrow ideas for you and your kids to make traditional style scarecrows. 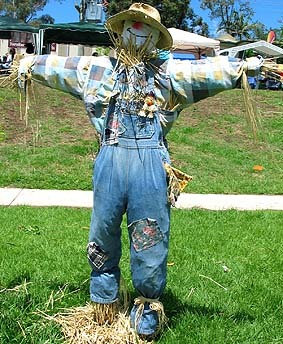 Use your scarecrow making skills to choose faces, hair styles and clothing so that your traditional scare crow becomes unique and memorable.